care to the person’s needs would involve ongoing communication with all the health and social care services that touch a person’s life. Secondary care providers, ambulance trusts, social care and voluntary and community organisations would all need to work together effectively, so that patients experience a seamless journey through the health and social care systems. 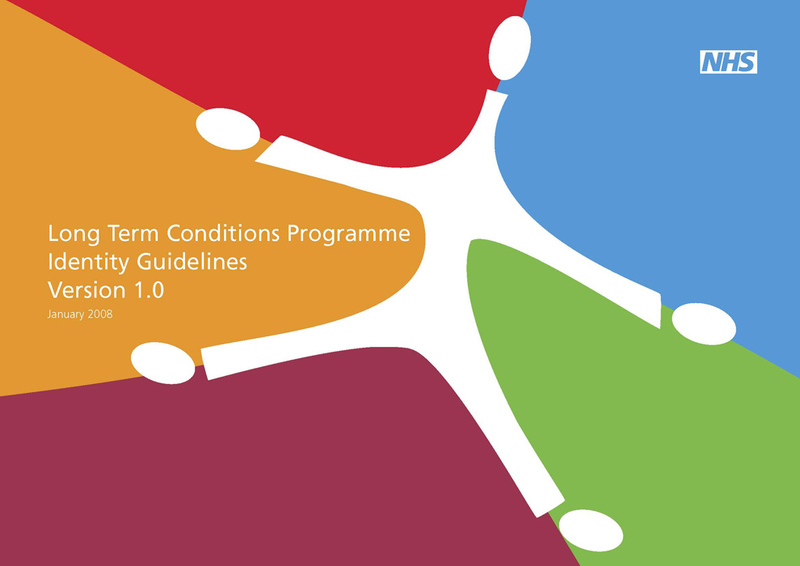 Based in Leeds, the Long Term Conditions Programme was set up to help patients with long term illnesses to find better ways to manage their conditions more effectively. The task was to develop an identity for the programme which was people centric and flexible. The example shows the identity in selected guidelines pages.